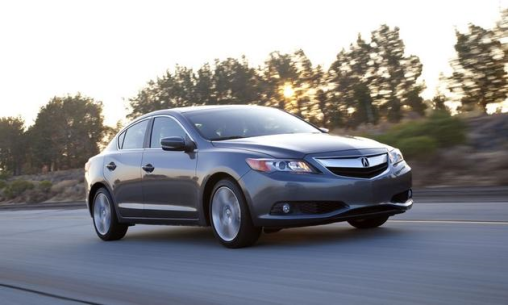 The ILX’s exterior is a fluid and smooth, yet crisp and edgy for a compact luxury car than you’ll find in this segment. The fenders swell gently from the sides, there are character lines to accent its shape, and the greenhouse arches gracefully over the passenger compartment. All in all it’s a handsome sedan. 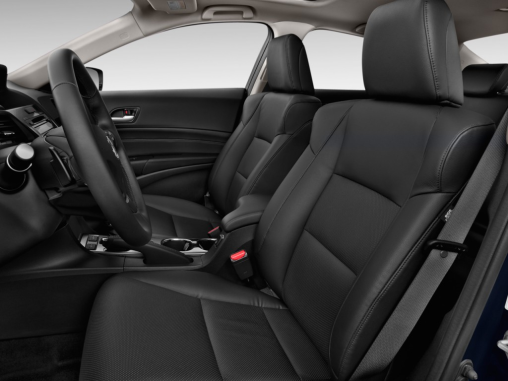 The interior reflects the Acura exterior, with typical Acura edgy curves, contoured surfaces, and easy-to-read gauges. It really feels like luxury when you are behind the steering wheel. 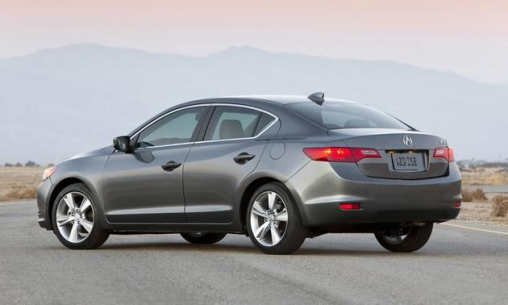 Acura offers three trims for the ILX, and the names are based on the drivetrains. 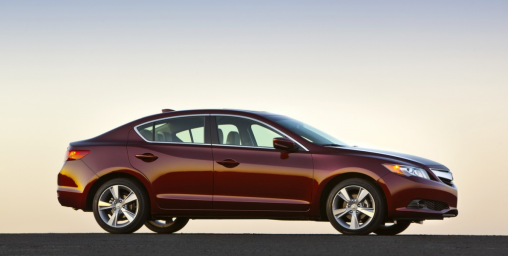 The 2.0L offers a four-cylinder, 2.0-liter engine rated at 150 horsepower and 140 pound-feet of torque. A five-speed automatic has paddle shifters which comes standard. Its gas mileage is rated at 24 mpg city and 35 mpg highway. The 2.4L model is more sporty and features the Civic Si’s 201-horsepower with 170-pound-foot 2.4-liter four-cylinder engine coupled to a six-speed manual transmission–no automatic is offered with this model. Unfortunately the suspension in the 2.4L is the same as the rest of the ILX lineup, and it’s not set up for canyon carving. Step up to the ILX Hybrid and you get a 1.5-liter four-cylinder engine mated to an integrated hybrid drive system and continuously variable transmission (CVT). Total combined power is rated at 111 horsepower and 127 pound-feet of torque. The estimates gas mileage at 39 mpg city and 38 mpg highway, however the CVT drives quite sluggish under certain driving conditions. The interior cabin is comfortable and spacious and the rear seats are as well according to many testers. There is enough room even for taller adults to fit comfortably. 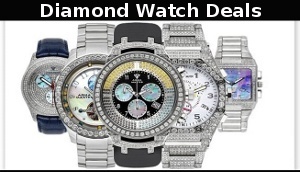 Everything is ergonomically placed, with all controls easy to identify and use without taking one’s eyes from the road. Fit and finish is also very good, with solid-feeling construction and quality materials (plastic, rubber, and leather) in all touch-points. The cabin noise is low, but not as quiet as luxury cars in higher class than compact. 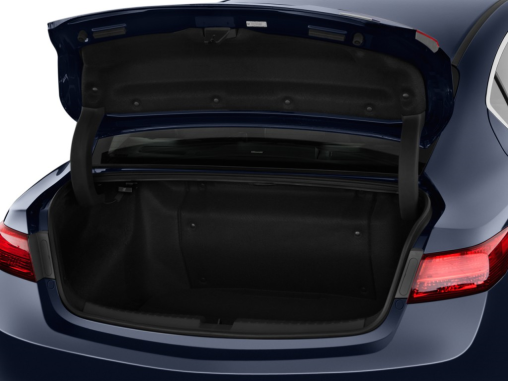 The ILX has plenty of room in trunk and lots of in-cabin storage in door pockets with well-placed cup holders. Cargo volume is a solid 12.4 cubic feet (10.0 cubic feet for the Hybrid, which places the battery pack behind the rear seats). 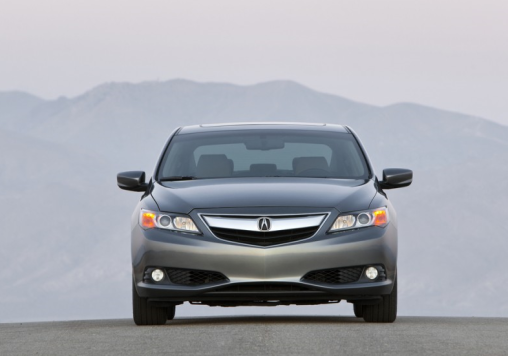 The ILX is already a quiet car, but for 2014 Acura has made Active Noise Cancellation standard on all models in this lineup. It can actively soaks up bothersome noises from the powertrain or road, using the sound system’s speakers, a cabin microphone, and a sophisticated processing algorithm. 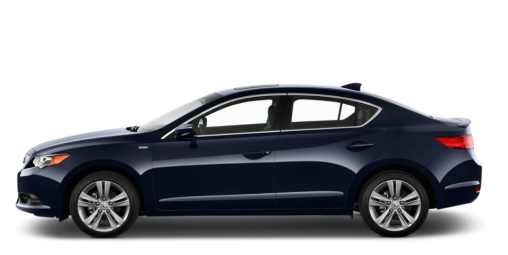 You will find some features such as radar-adaptive cruise control, blind-spot monitoring, and heads-up displays which are usually available for much more expensive luxury cars but you can get them in the 2014 Acura ILX. 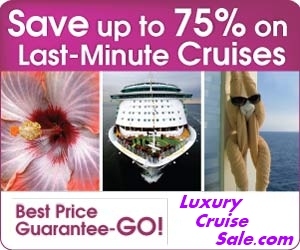 Two primary packages are available to upgrade from the base specification, the Technology Package and the Premium Package. Add the Technology Package and you get premium audio with USB and Pandora integration, a navigation system with voice recognition, a rear-view camera system, and real-time traffic and weather info. With the Premium Package you get leather seating surfaces; eight-way power adjustable driver seat; two-way heated front seats; an auto-dimming rearview mirror; a multi-view rear camera; a premium sound system with Bluetooth, USB, and Pandora functionality.